The Purple Pantry is a food bank aimed at reducing food insecurity for students–both those that are food insecure and those in recovery from substance abuse disorders. The university’s Environment Coalition partnered with the Blue Jeans Go Green program to kick off a denim recycling effort to turn the collected material into insulation. Once the denim is processed, it is turned into a non-toxic denim insulation that gets donated to eligible grant programs or sent out to various Habitat for Humanity affiliates. By signing up for the Real Food Challenge, the university agreed that at least 20 percent of its food budget by 2023 will be spent on “real food”. 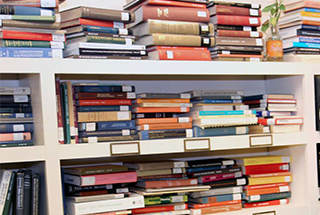 To get there, the university will establish a transparent reporting system and file an annual progress report to evaluate its food purchasing practices; create a food systems working group that will develop a “real food" policy and multi-year action plan; and increase awareness of ecologically sustainable, humane and socially equitable food systems. With a $60,000 grant from the San Francisco Department of the Environment, two faculty founded the Wear Movement, a project dedicated to extending the lifecycle of clothing. Students run a weekly pop-up event to collect and sell clean clothing that students, faculty and staff contribute. The trail includes 20 stops that have sustainability features, including bioswales, rain gardens, green roofs, a climate change garden, stormwater control design, native plantings and pollinator habitat. Markers and an online walking map highlight how design, construction and the management of campus grounds can enhance and promote healthy landscape ecosystems. The university's first restaurant dedicated to vegan and vegetarian cuisine, called FRSH, focuses all menu items on low-impact options such as salads, flatbreads and hot bowls. Though a couple dishes contain dairy, all menu items feature plant-based proteins. The change comes after students and employees expressed increasing interest in more vegan and vegetarian options on campus. There are now six GW Dining representatives who tweet information about on-campus dining options for students with dietary restrictions. 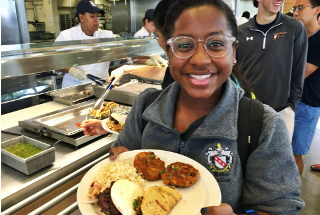 GW Dining debuted the dining representative program last September, using students with specific diets – Kosher, vegan and vegetarian, Halal and gluten-free – to advertise dining vendors and meal options for students. 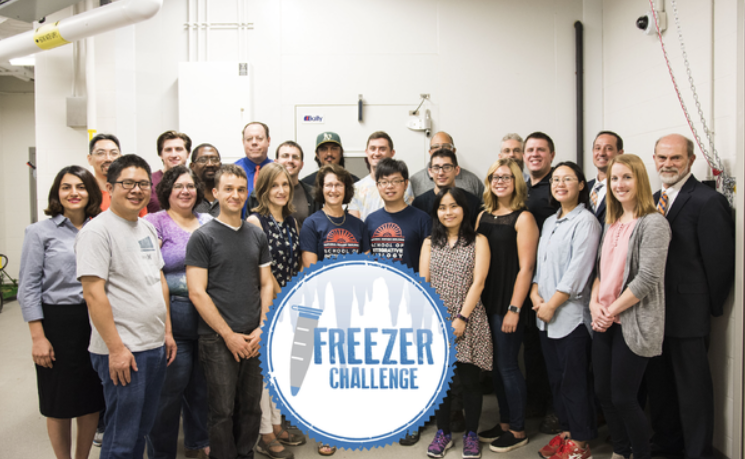 Earning first place in the 2018 International Laboratory Freezer Challenge, the university had 45 labs from 17 buildings participate in the program. 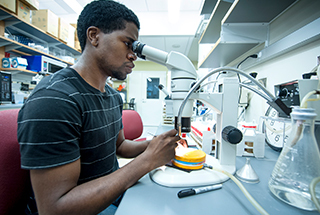 Researchers earned points for tasks such as eliminating fridge and freezer usage, cleaning lab spaces and moving samples to warmer storage. Combined efforts to conserve energy resulted in a 720 kilowatt-hours per day reduction of energy use. Students will soon have the option to anonymously donate their allotted guest passes on their college meal plan to fellow students facing food insecurity. 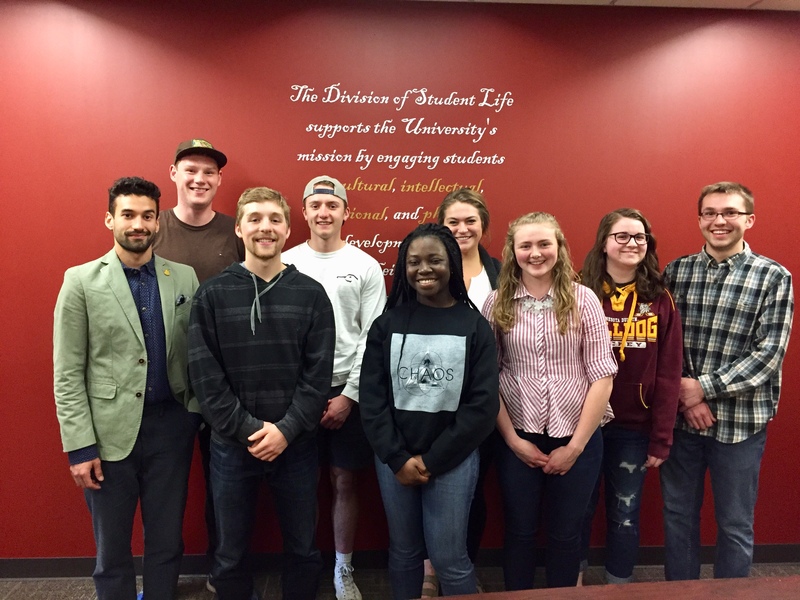 The initiative is being undertaken in collaboration with Swipe Out Hunger, an organization that partners with higher education institutions to address student hunger. The program will begin with a yearlong trial phase, during which the college's Student Financial Services will collect data, including the number of passes donated and the number used, in order to assess its effectiveness. (Jordan) With the participation of 12 engineering students, the university is constructing an off-grid solar-electric tree, which it hopes will raise awareness of renewable energy. The energy will be stored in batteries, and eventually solar-charging stations will be available to the community. 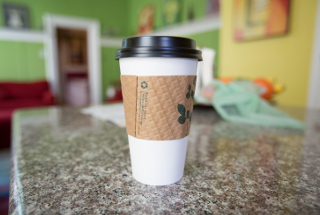 (U.K.) As of August 2018, all hot drink prices in university cafes will be lowered to show the price customers will pay if they bring their own reusable cup, while customers without cups will be charged a small fee to purchase a disposable cup. This reverses the previous pricing structure in which all hot drinks prices were for disposable cups, with customers who brought a reusable cup receiving a discount. A collaboration between the university's School of Visual Arts and the Center for Pollinator Research led to the creation of Pollinator Panic, an online strategy game that raises awareness of the issues around bee population decline. The game allows a player to assume the role of a field researcher who is working to restore a bee community. The $50,000 from the university's Auxiliary & Business Services will be used to support paid student interns and an assistant farm manager at the university's Student Farm, which is in the third year of operation. 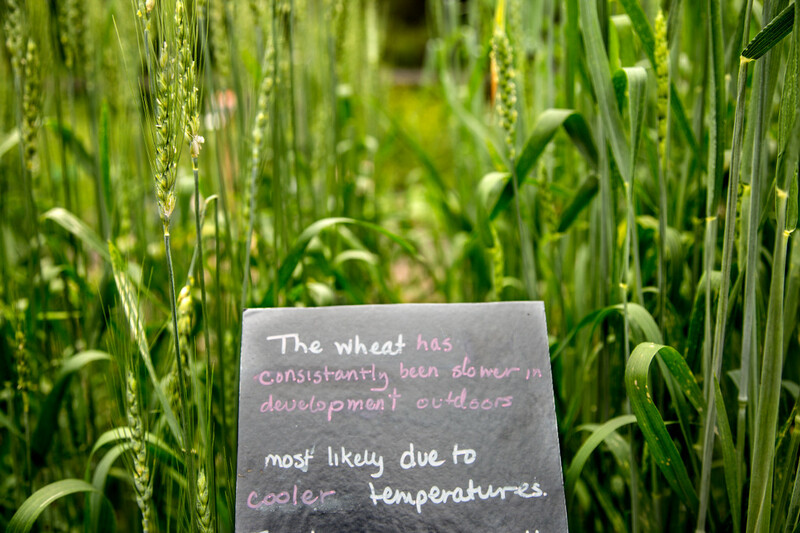 Led by members of the Student Farm Club and housed within Penn State’s Sustainability Institute, the Student Farm gives students from across the university hands-on experience in all facets of farming and running a business. 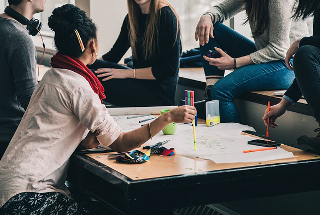 (U.K.) The three-month Be the Change pilot program started in July 2018 and encourages the university’s 6,000 staff members to adopt well-being behaviors, such as volunteering, mindfulness and keeping active. It also promotes sustainable travel, energy and water conservation, and sustainable purchasing. The university's Faculty Senate and Associated Students passed a joint resolution last month endorsing “World Scientists’ Warning to Humanity: A Second Notice", an article published in the journal Bioscience that documents changes in environmental factors over the last 25 years. While the article says that progress has been made in addressing some environmental issues, it suggests that humanity is continuing to risk its future. 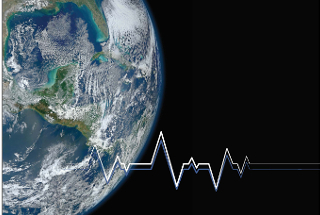 The article has been co-signed by more than 20,000 scientists from 184 countries. A team at California Institute of Technology took first place in the Energy Department's Cleantech University Prize (Cleantech UP), while Northwestern University clinched second place and the University of Houston claimed third place. A Building Technologies Prize was awarded to a team at Princeton University, and the Department of Defense sponsored an Operational Energy Prize, which went to a team from University of Chicago and Northwestern University. Cleantech UP business plan competitions provide aspiring student entrepreneurs with the mentorship, business development skills and training, and investor feedback they need to turn their clean energy ideas into businesses offering real-world solutions. 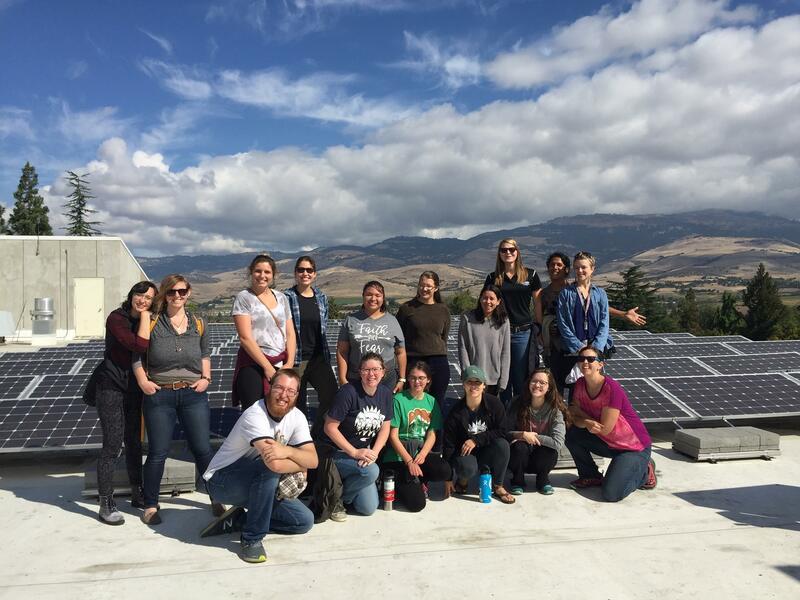 After three years of planning by a student organization called the Solar University Network (SUN) Delegation, the university connected a 40 kilowatt solar electric system to the Aspen Building, part of its Oakland Apartment Complex. The installation was funded by a student service fee, the university's green revolving fund and UMD's Housing and Residence Life. The system is expected to reduce electricity costs by about $3,500 per year. 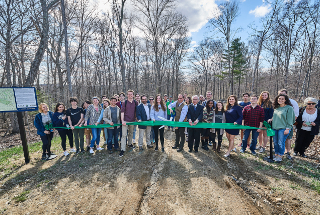 A $250,000 grant from the Arthur Vining Davis Foundations to the college's Center for Environmental Stewardship will be used to increase sustainability and environmental stewardship across its curriculum, expand the college’s capacity for responsible resource management and sustainable development, and increase the effectiveness of college’s arboretum as a learning lab for the campus and community. 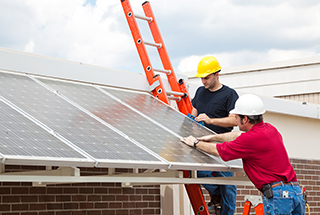 Launched in 2017, the university's student green fee will be used to fund a solar array, planned for connection in August 2018. Aside from the $30,000 raised through the 2017-2018 green fund, the Student Government Association and the university each has agreed to match that amount. Avoided costs have been estimated at $17,000 annually. 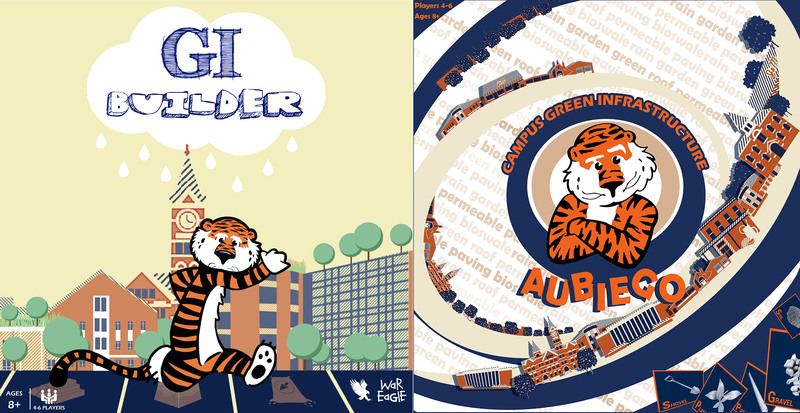 Landscape Architecture graduate students recently created and released interactive board games for the Office of Sustainability to teach students, faculty and visitors about the green infrastructure stormwater control measures that are integrated into the campus landscape. Launching in fall 2018, the Clothing Closet at Iowa will be a clothing bank that gives students an affordable option for buying new or used professional clothing. In addition to supporting students who are unable to afford professional clothes, it will also divert textile waste from landfills and promote reusing and recycling clothing. 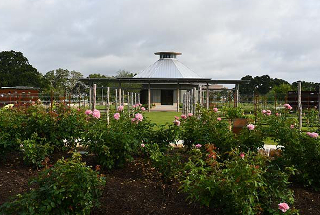 The garden is scheduled to open in mid-June and includes 21 themed garden "rooms" for teaching and research in food production and landscape management. Future phases include outdoor venues for performing arts, films, celebrations and social events. Other planned gardens include one for children, a rose garden and a feed-the-world themed courtyard. 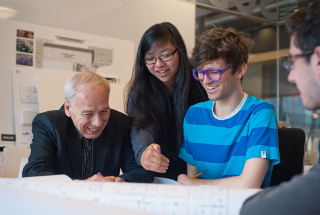 Founding partners of the new B.C Collaborative for Social Infrastructure are Simon Fraser University, the British Columbia Institute of Technology, the University of Northern British Columbia and Vancouver Island University. The collaboration will focus on sustainable campus and community building, indigenous entrepreneurship and social finance, social procurement, and library outreach and community scholar programs. The four institutions will share practices and policies to encourage progress and to determine how initiatives can be scaled-up and enhanced. The institutions plan to create a community of practice that can be shared with other post-secondary institutions across Canada. Part of a residential area on campus, two new LEED certified buildings feature room occupancy sensors and low-flow water fixtures. Covered bike racks are available to students, and landscaping around them includes native plant species. 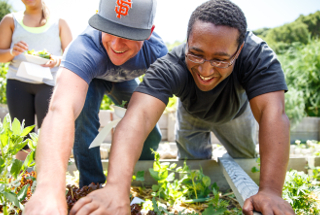 Sustainability is also incorporated into student life through frequent sustainability-related educational programming. (South Africa) Introduced in January this year, this first-ever undergraduate program in Sustainable Development at the university is offered by the School of Public Leadership in collaboration with its Sustainability Institute. 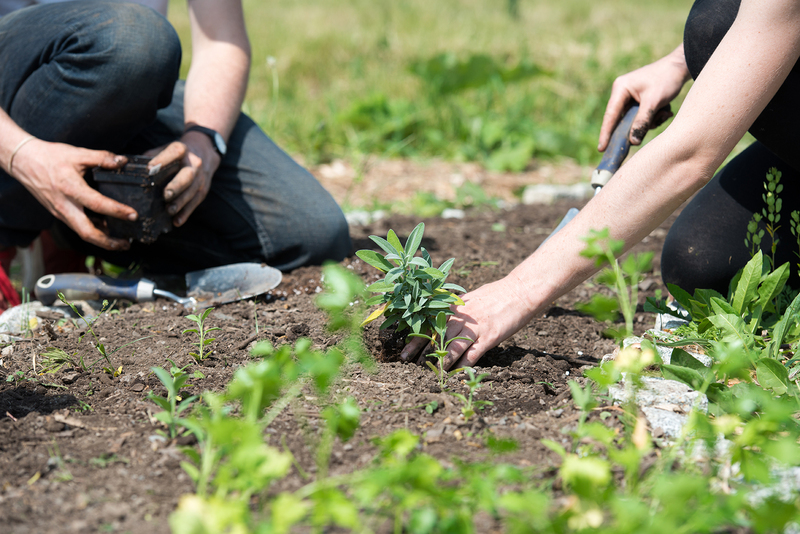 The workplace-based diploma aims to give students an opportunity to work on sustainability challenges, gaining skills and experiences perhaps not otherwise available to them. A University of Michigan green building class recently unveiled an off-grid straw-bale house. 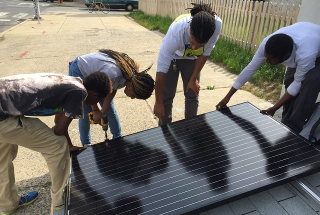 The team of about 20 students built the house using sustainable building techniques and installed a 1.5 kilowatt solar electric array attached to eight golf cart batteries. 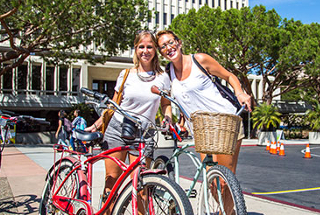 For Earth Day, the Office of Sustainability launched a new bike-share pilot program with Spin by placing 100 bikes across campus. Bikes can be used for $0.50 every half-hour or unlimited 30-minute rides for $14 per month. A new program called EcoCoin aiming to reduce the number of plastic bags used at the Penn State Bookstore give customers the option to take a plastic bag or receive an EcoCoin. Customers can then place the EcoCoin into one of three boxes, each one representing a student philanthropy organization engaged in social impact for sustainable development. Each EcoCoin represents a 5-cent donation. On top of the total amount collected through EcoCoins, the Penn State Bookstore will contribute $500 per semester to each organization. A new pledge from the Office for Sustainability and Green Greeks is challenging the long-standing tradition of graduates letting balloons go during their graduation ceremony. The balloon-free pledge was introduced for the first time this year as a mental reminder to students to consider the consequences of using balloons. Instead of balloons, other more environmentally-friendly methods of celebration were suggested for graduation by the Green Greeks, such as bubble blowers or garden spinners. 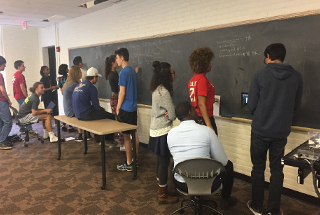 Supported by a $240,000 grant from the Davis Educational Foundation, university researchers will teach students how to work in groups in ways that promote equity and how to identify and address unconscious racial and gender biases in project-based teamwork, such as biases in assigning tasks or making decisions. The two new funds are the Campus Auxiliary Services Sustainability Endowment Fund, and the Campus Auxiliary Services Sustainability Expendable Fund. 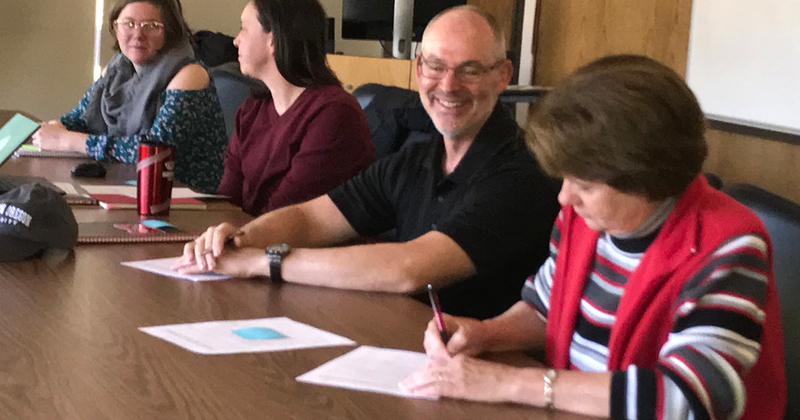 The overall purpose of both funds is to empower New Paltz faculty members to develop course curricula that include sustainable lessons and activities that draw on the rich agricultural resources and infrastructure of the Hudson Valley. The Hillside Environmental Education Park opened in 2008, following the remediation and closure of the former UComm landfill, which dates back at least 50 years. The park was recently expanded with the addition of land, trails, and more than a dozen trailhead and interpretive signs. The park is now 165 acres and includes three miles of trails through uplands, wetlands, meadows and woodlands. The university recently announced it has started construction on a $9.7 million, comprehensive campus-wide energy-efficiency project that will streamline facility operations and encourage sustainable behavior. The energy savings performance contract guarantees nearly $15 million in energy savings over the life of the project. Savings will come from improving the university’s irrigation system, interior and exterior LED lighting upgrades with occupancy sensors and automated dimming controls, and utility meter upgrades with user-friendly energy dashboards. Construction is underway and expected to be complete by fall 2019. 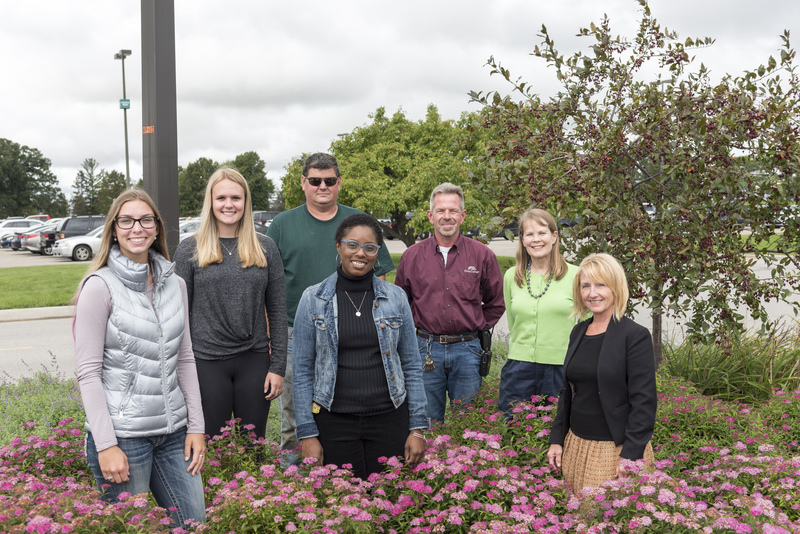 The university's Arboretum Committee, an Ecology and Evolutionary Biology class, and several community partners collaborated to plant an urban prairie on campus that will help retain flood water, sequester carbon and sustain a variety of native species. 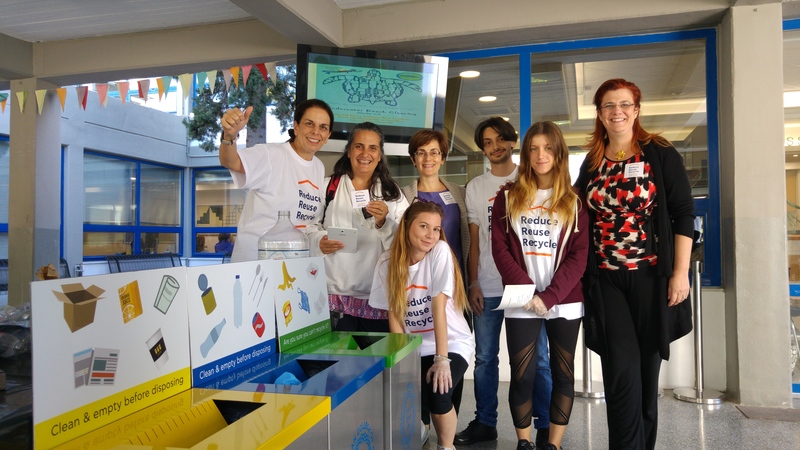 (Greece) The college's Center of Excellence for Sustainability recently launched the Sustainable Events Guidelines in an effort to help reduce the environmental and financial costs of events. The guidelines include key performance indicators that focus on policy, catering, energy, and materials and waste. 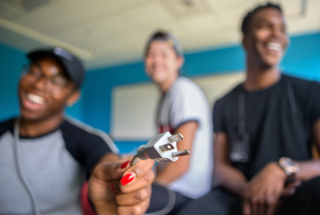 Launched in February 2018, the Institute for Sustainability, Energy, and Environment's (iSEE) Campus as a Living Lab program is designed to link campus sustainability targets to national and global sustainability, energy and environment challenges. 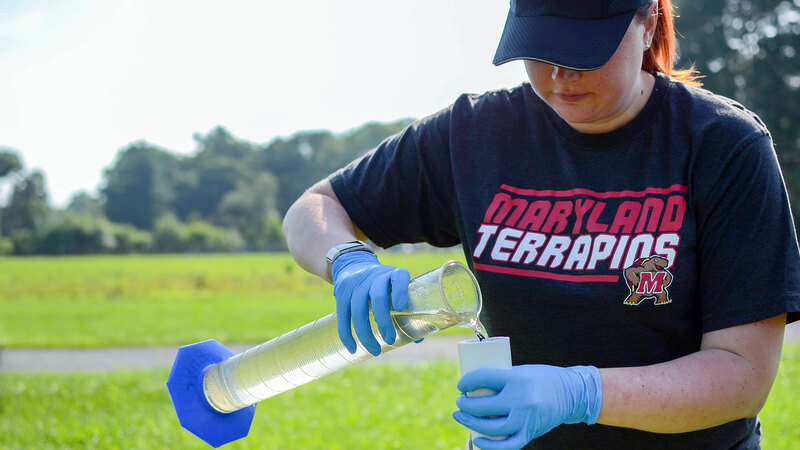 Inaugural funding is going to two research projects: a study to examine redirecting waste heat from industrial processes using a thermochemical battery, and testing a no-waste system for turning food scraps into biofuel while also treating wastewater and creating natural fertilizers. 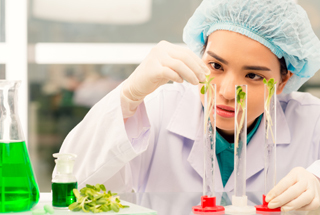 Funding covers startup costs for the researchers to prepare larger proposals for substantial external funding.